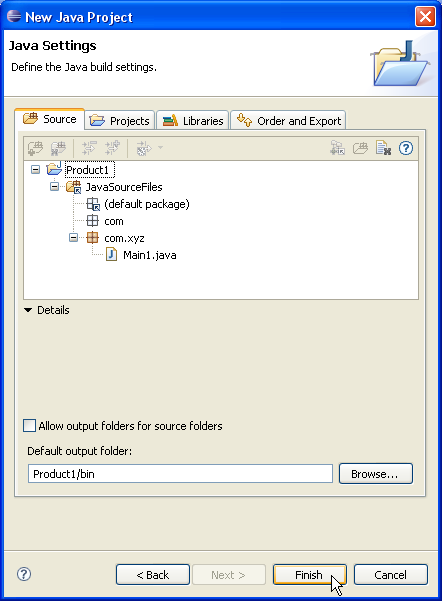 The source files for products are laid out in one big directory that is version and configuration managed outside Eclipse. 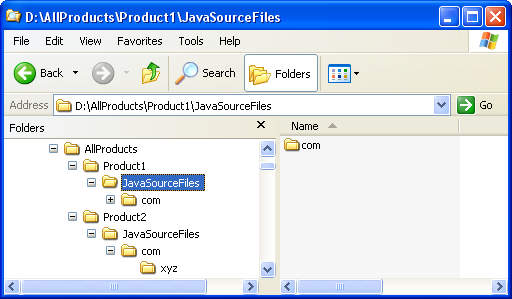 The source directory contains two siblings directories Product1 and Product2. Click Window > Open Perspective > Other... > Java to change to the Java perspective. 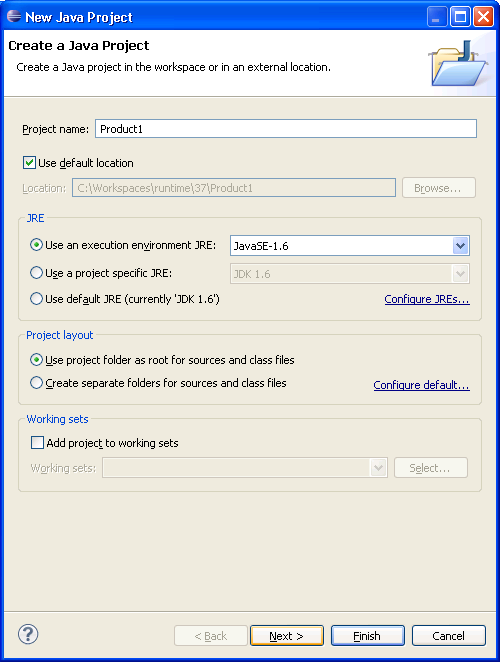 Click File > New > Other... > Java Project to open the New Java Project wizard. Type "Product1" in the Project name field. Click Next. 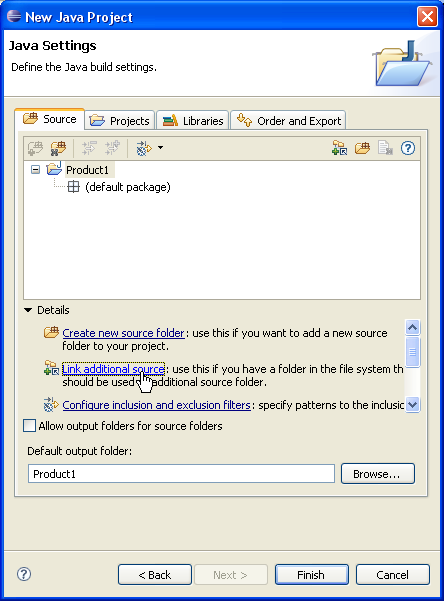 On the next page, Select "Product1" source folder. Click Link additional source link in Details pane or button in view bar. 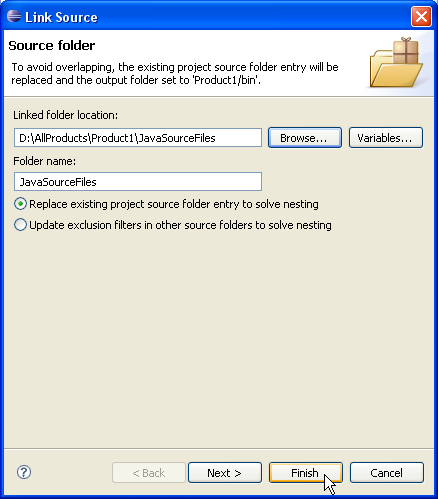 In Link Source dialog click Browse.... and choose the D:\AllProducts\Product1\JavaSourceFiles directory. Click Finish to validate and close the dialog. Repeat steps 2 to 8 for "Product2". 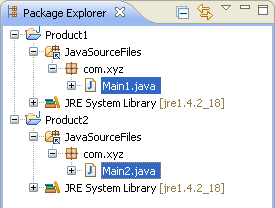 You now have two Java projects which respectively contain the sources of "Product1" and "Product2".